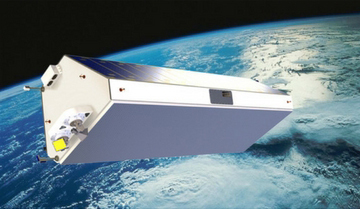 FalconSAR is a uniquely designed small radar imaging satellite that can satisfy the demanding needs of current and future earth observation missions. Making use of a Synthetic Apreture Radar (SAR) payload, the satellite is able to generate valuable images day or night, irrespective of the weather conditions. Employing lightweight, small satellite design techniques and components to realise an affordable system that is designed to operate in isolation or within a constellation of satellites. Due to its competitive low cost per satellite, the opportunity to establish a constellation becomes a reality, ensuring that revisit times are substantially shortened and flexibility increased in acquiring timely information.